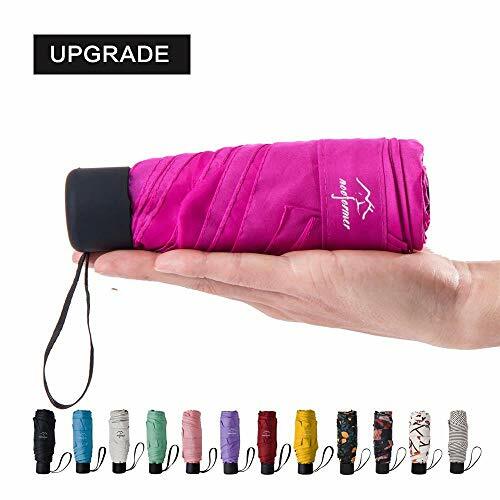 This mini portable umbrella is your reliable companion when you are on the go. Ultra-light and compact design yet, its broad canopy will provide you with shelter in a sudden downpour or block the harsh UV rays in the hot sunny days. Version A/C/E: Umbrellas for both rain and sun, with 95% UV Protection. Version B/D: Rain umbrellas, without UV protection. Nooformer is a brand that aims to design better and more practical umbrellas to meet different needs of customers! Compact, mini,lightweight,folding,inverted and portable! If you have any questions about this product by NOOFORMER, contact us by completing and submitting the form below. If you are looking for a specif part number, please include it with your message.